I'm a recent initiate to yoga. It's a wonderful practice and helps me immensely, even in my work (which is writing a dissertation on animal studies and art history). It offers me the discipline to focus, to gain a proper distance on my writing, and physically, in helping me to sit properly at my chair, in front of my computer, or in a library, for hours on end. 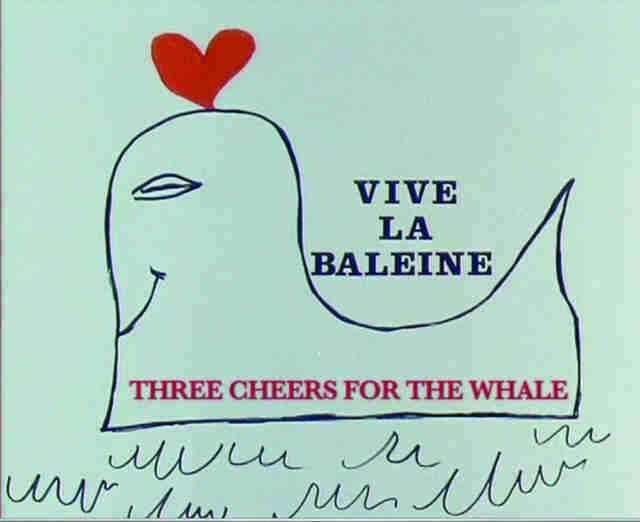 While writing a chapter on the artist-filmmaker Chris Marker (who was fascinated by and represented all sorts of animals in his work throughout his career) I was struck by a moment in his little-discussed film Vive la baleine (1972). The film is a poetic short history of whaling – one in which modernity and capitalist industry leads to slaughter on a massive scale, which we are still witnesses to today. At one point, the narrator points to an obscene and contradictory aspect of whaling and its history. Citing the writer Jules Verne, she underscores the fact that it was none other than the whale who helped men navigate the unknown global waterways during the age of exploration. In short, it was nonhuman marine agency that played a vital role in the mapping out of the world: "We followed the directions you gave us...it was you who led men to their most distant discoveries." The implication here is that their subsequent industrial massacre is a historical betrayal, one based on their very own nautical energies and know-how. 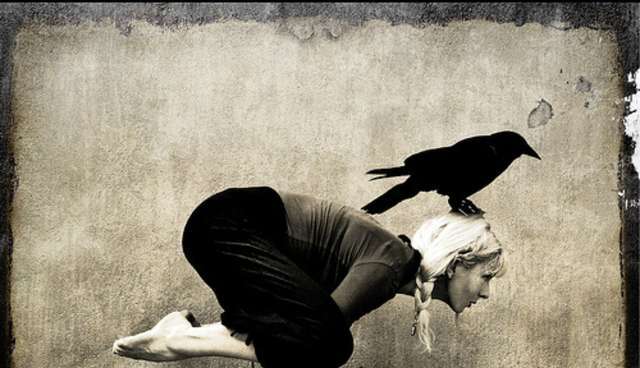 Returning to the practice of yoga, I sometimes get a similar sense of animal betrayal, especially in the popularization of the practice in the west. The philosopher Slavoj Žižek often points out (I think correctly) that western forms of yoga, buddhism, or "eastern" theories have been easily co-opted by a cultural industry that strips them of their original weight and substance. That they are simply tokenized. Rather than informing us about the virtues of non-violence, compassion, discipline, and ethics, these "exotic" practices are reduced to life-style accoutrements, to consolation hobbies in a high-stress capitalist system, or to an effective workout for contemporary body-cults. I once overheard someone describe yoga as the best outlet for a CEO to do better at work. It is difficult not to judge here, but nevertheless, it is also not difficult to see that using yoga as an escapist outlet or a form of bodily or psychic reinforcement for your job is a self-help instrumentalization of the practice. Rather than simply allowing for more productivity and narcissistic de-stressing, yoga should inform the very decisions you make at work – especially if your work has a social, economic, and political impact on others (humans and nonhumans). So the betrayal of animals? It's quite simple. Think of the number of poses that are named after animals. Not only named after them, but given to us as our models and teachers. In this sense, yoga is amazing for de-anthropocentric modes of thinking. Most people think humans are somehow the center and the apex of existence, but have they seen a dog or cat do downward dog? A bear in happy baby? A cobra in full cobra? A flamingo in tree pose? There is a reason why so many poses are named after animals – they show us the way. Even the term yoga itself, in the original Vedic sanskrit, alludes to the animal, referring to the act of yoking or harnessing. Here is were things get tricky: if someone takes the time to discipline their bodies through yoga, yet at the same time, does not think or care about the bodies they help exploit in their daily life, then not only is their practice an exercise in narcissistic self-help, but they betray the very animal beings that show them how to do their yoga poses in the first place. Would we not then be at a similar historical crossroad of betrayal as the whales showing us how to navigate the oceanic waterways, only then to hunt them down with this very knowledge they gave us?